After a long legislative process, a new EU regulation amending the EU telecommunications package was agreed last Autumn and came into force in April 2016. It contained rules relating to roaming and to universal service. 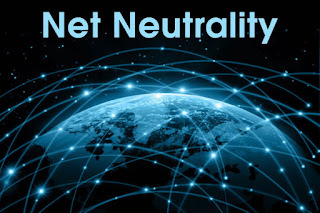 These latter rules are the EU’s provisions on net neutrality and they aim ‘to establish common rules to safeguard equal and non-discriminatory treatment of traffic in the provision of internet access services and related end-users’ rights. The intention is ‘to protect end-users and simultaneously to guarantee the continued functioning of the internet ecosystem as an engine of innovation’ (point 1 in the preamble). [w]hen providing internet access services, providers of those services should treat all traffic equally, without discrimination, restriction or interference, independently of its sender or receiver, content, application or service, or terminal equipment. According to general principles of Union law and settled case-law, comparable situations should not be treated differently and different situations should not be treated in the same way unless such treatment is objectively justified. The rights of end-users are found in Art. 3 of the Regulation. Art. 3(1) contains the rights of end-users to access and use the Internet. Subsequent sub-provisions deal with possible exceptions. Due to the open-textured nature of the drafting in the Regulation, and the inclusion of certain exceptions to the basic principle, the level of protection to end-users as well as the scope of providers’ activities in practice were uncertain. BEREC, the Body of European Regulators of Electronic Communications, was then tasked with producing guidelines to cut down on some of these uncertainties. BEREC launched a public consultation on the Guidelines on 6th June 2016 which will run until 18th July. In the Guidelines, as with the Regulation, there are three problematic issues: zero-rating, traffic management and ‘specialised services’. The Issue: Zero-rating is the practice whereby traffic from certain sources does not count towards a subscriber’s monthly data cap. Essentially this allows providers to charge different rates in respect of comparable services. Zero rating makes ‘free’ sources more attractive to subscribers and potentially has an impact on the actual content consumed. There are concerns that a provider will prioritise content it, or a linked company, provides; or provides only a ‘walled garden’. There are questions here about the impact on diversity of platforms (particularly where we are looking at vertically integrated conglomerates) and diversity of content, as well as the impact on the ability of users to use strong end-to-end encryption. The Guidelines: BEREC notes that different forms of zero rating may have different consequences. In determining the acceptability of a given form of zero rating, it takes a case-by-case approach based on criteria developed from the terms of the Regulation and set down in the Guidelines. Any effects on freedom of expression and media pluralism (rec 13). We could suggest that this is a middle ground, allowing regulators to assess the threats to diversity in the specific instance. There are however questions as to whether practice will provide an adequate safeguard given that BEREC reiterates that the impact on users must be material, and be sufficiently predictable. Predictability may be particularly problematic for start-ups. In such a circumstance, it could be that providers would be tempted to push the limits of the permissible, at least adversely affecting diversity of platform and content. It should be noted that zero rating in particular has been seen as especially problematic in competition law terms, and has even been banned in some countries. The Issue: Historically, transfer of data has been carried out on a ‘best efforts’ basis, with all traffic in principle treated equally. Traffic management is the way operators prioritise or restrict the flows of data on the network. It is envisaged as a way of dealing with congestion, or in ensuring that time sensitive applications work (consider the differential impact with regards an ‘Internet of Things’ (IoT) health device, the function of which is disrupted by comparison with spam email). The problem is that slowing down some services can make them less attractive, so a telecoms provider might have an incentive to slow down (throttle) an OTT voice chat service. It is difficult to assess if services have objectively different requirements. As the Regulation noted, ‘a significant number of end-users are affected by traffic management practices which block or slow down specific applications or services’ (recital 3 in the preamble). The Regulation: permits traffic management, but subject to certain safeguards. So, the Regulation allows ‘reasonable traffic management’ which may be used to differentiate between ‘categories of traffic’. There are three additional exceptions in Art. 3(3) which are allowed for the following reasons: a) compliance with other laws; b) preservation of integrity and security; and c) congestion management measures (see also Rec. 13, 14 and 15). [i]n order to be deemed to be reasonable, such measures shall be transparent, non-discriminatory and proportionate, and shall not be based on commercial considerations but on objectively different technical quality of service requirements of specific categories of traffic. Such measures shall not monitor the specific content and shall not be maintained for longer than necessary. Nonetheless according to para 63, operators are permitted to distinguish between different classes, even when the network is not congested: an operator can differentiate between ‘objectively different’ categories of traffic – such as video, gaming, web browsing – as long as the purpose is to optimize the overall quality and user experience ‘based on technical quality of service requirements (for example, in terms of latency, jitter, packet loss, and bandwidth) of the specific categories of traffic’. An ISP must be able to detail the traffic management rationale when implemented to the national regulatory authorities (NRAs), and be transparent to the end user. The rationale seems to be to allow the network providers to optimize their networks, thereby putting off the day when the networks need to be upgraded. The issue of who should pay for the ultimate upgrade (or in what proportions) is hotly debated, reflecting concerns of the broadcasting ‘must carry’ debate. The Issue: the term, which is not in the Regulation, refers to those services which require special treatment (think about some IoT health apps) as an exception to the principle that paid prioritisation of certain content is not permissible. BEREC suggests that ‘specialised services’ is a shorthand for the terminology in Art. 3(5) of the Regulation. In effect, ‘specialised services’ would not fall within the net neutrality rules. The question was how wide would this exceptional class be? In effect, would this open up the possibility of a ‘fast lane’ for those prepared to pay the toll? The Regulation: the definition was open to interpretation, though there were some safeguards provided. Specifically, the provision of specialised services should not be detrimental to regular Internet services and may only be offered if the provider has sufficient capacity. Essentially this requires a test of necessity and capacity. The Guidelines: BEREC has opted for a narrower perspective on these services. ‘Specialised services’ have to be new services that cannot function over the open Internet, so the extra speed must be ‘objectively required’ thus closing down the possibility of a two-tiered internet generally. The Guidelines give examples: high-quality voice calling on mobile networks; live television delivered over the internet; and remote surgery but national regulatory authorities will be free to assess this on a case by case basis. The justification for this was the inability to predict what new services will develop, especially in the context of the IoT. There are some concerns. It seems that BEREC has decided that the provision of specialised services which will require some of the relevant subscriber’s own bandwidth for ‘normal’ Internet use will be acceptable, provided that there is no impact on the quality of other users’ experience (para 118). This is the choice of the user in BEREC’s view. Further, the Guidelines seem to envisage that it will be the service wanting to be designated as specialised that will ‘objectively determine’ whether the criteria are satisfied. Does this risk undermining the safeguards? BEREC seems to be aware of the risk: it suggests that the NRAs should monitor these services closely to check that the reasons given are plausible and not just about circumventing the rules. It remains to be seen how open to movement BEREC is in terms of changes to the draft. While the net neutrality campaigners have expressed concern about threats to the open Internet, equally the operators have voiced concern about the balance achieved in the draft as can be seen from ETNO’s response. While the competition and pluralism issues are significant, underpinning this significant divide is the issue of where we expect the money to come from for network infrastructure and its development. There are a number of competing sectors in the mix: infrastructure, access, platforms/intermediaries, content providers and aggregators as well as the end-users – but who should pay and how should that payment be assessed and structured?